Chabad Lubavitch of Fort Lauderdale realizes the personal growth needs of every Jewish person. In an effort to promote spiritual self-development, the Chabad’s Rabbis hold private counseling sessions for all matters of Jewish life. 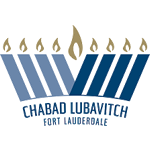 To schedule an appointment, please call 954-568-1190 or email office@chabadfll.com.